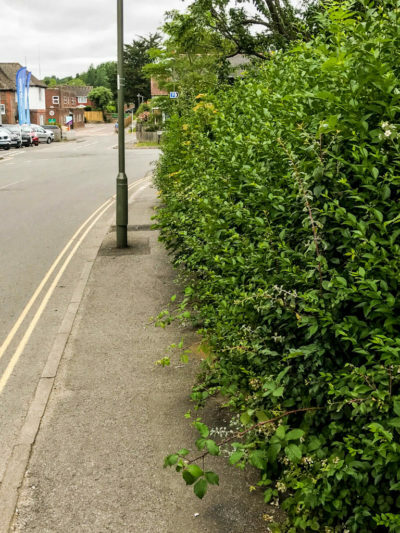 The Amenities Committee of the Town Council looks after the bits of public land that it owns around Haslemere: places like Lion Green and its playground, rubbish bins, tubs, planting, and the War Memorials and that sort of thing. 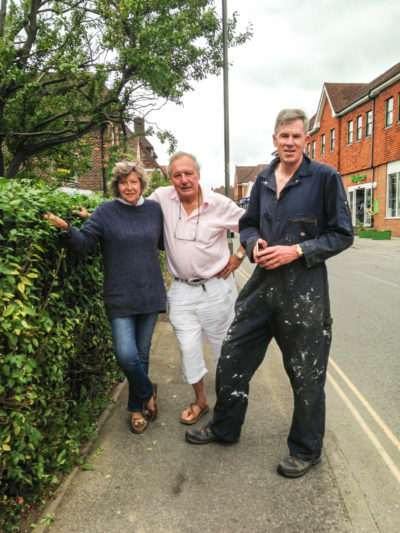 Members of the Town Council also go on walkabouts to check for Blackspots in the town – these are areas that need particular attention, or perhaps some urgent work to be done to improve matters. But the Town Councillors aren’t just there to identify problems. 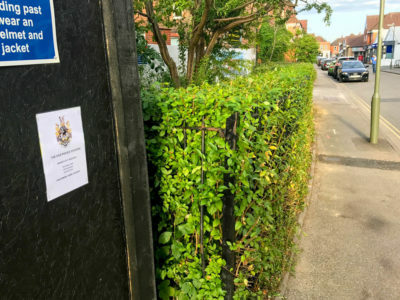 A recent walkabout had revealed a Blackspot in West Street – outside the Old Police Station. The hedges outside the Station had become so overgrown, pedestrians were forced to walk in the road so to avoid them. 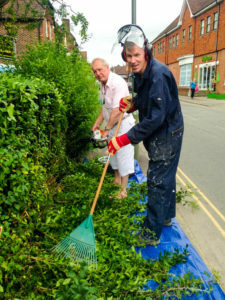 Rather than go through the laborious processes, and public expense, of getting a contractor out to do the work, Councillors Odell, Round and Dear got together one Sunday morning – equipped with hedge-trimmer, brooms, shovels and sheeting – to tackle the problem themselves. A little while later, the area looked far better… and the pedestrians were delighted. 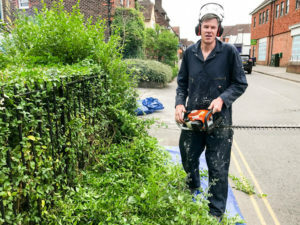 A good example of what Town Councillors do in practical terms.